Debesh: I am extremely honoured and happy. It’s a dream come true for me. I never thought that I would be able to make a film on Keya. I had first planned a play on the subject but later changed the decision considering the amount of flexibility required to treat the subject properly. I also wanted to reach out to a greater audience and wanted more people to know about the actor. Cinema, with its wider reach, is undeniably a much better option in this regard. 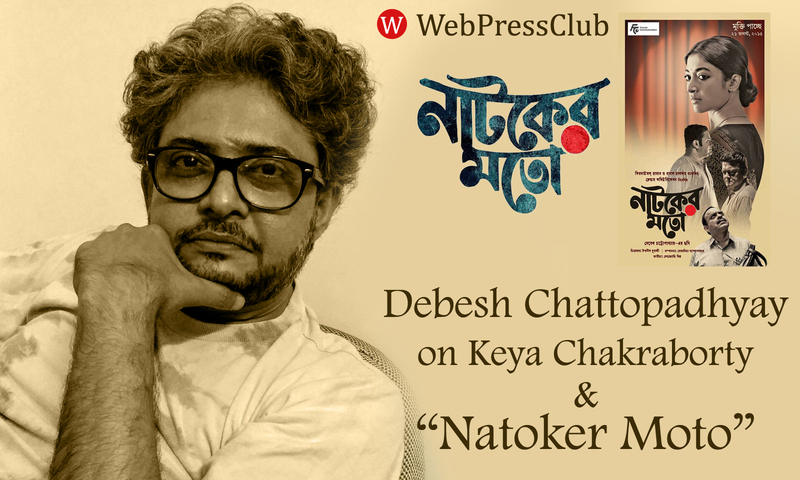 Debesh: I never met Keya Chakraborty personally. I guess it was in 1992 when her name came up during a book fair adda session. I still remember someone asked me: ‘What do you know about Keya?’ All I could say was that she was a remarkable actor and drowned in the Ganga during a film shoot. None of us, in fact, knew anything more than that. On that particular moment, I decided to publish a magazine on her. That was how my search began. 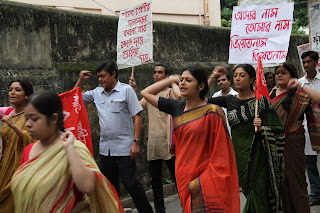 I later went to Chittaranjan Ghosh who had edited Keyar Boi and also managed to meet the actor’s mother. These two persons actually inspired and motivated me immensely. Debesh: The film is very dramatic. I originally drafted the play-script on Keya Chakraborty in 1998 but never got a chance to stage it. I later realised that the big screen was the best medium to portray it. Years later I told a friend about it. One morning, seemingly out of nowhere, I got a call from my producer and things began falling into place. Debesh: Paoli is one of the finest actors of our times. I realised it the moment I saw her on screen for the first time. I wanted to cast someone dignified and stylish, yet simple in her approach as Keya. Paoli fit the bill perfectly. She worked really hard to get under the skin of the character. She started watching theatre regularly and did workshops to prepare herself for the role. Debesh: Look, I never had any intention to hurt someone’s sentiment or malign somebody. At the same time, I was determined to make the film at any cost. There were suggestions and ‘requests’ from some quarters to drop the project. But I was in no mood for that and neither was I ready for a compromise. I cannot disrespect Keya. Believe me, I have no aspiration to establish myself as a film director. I see Natoker Moto as a mission that started in 1992 and is about to complete on 21 August, 2015. Debesh: Well, things are changing. People are looking to explore these areas. A documentary on the legendary Binodini has been made recently. I am here with my film. It’s like a circle I guess. And the circle is moving now after being stagnant for uncountable years. Yes, it is slow, but there is a steady movement. I am positive about the future.